Bihar Police SI Syllabus 2017: hi friends are you searching for the BPSSC Sub Ordinate (Sub Inspector) syllabus PDF. 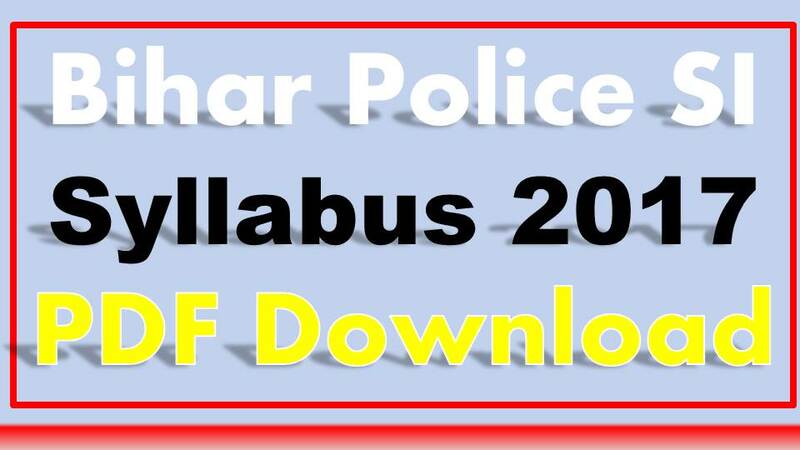 Here we give the complete information about the Bihar Police SI Exam Pattern and syllabus PDF Download. This is a golden chance to get a Bihar Government job. We are given the full support to get the police job. below enclosed the Bihar Sub Inspector Syllabus PDF Download. Aspirants who are applied for BSSC Sub Inspector (Daroga) Recruitment notification 2017-18. All candidates are eagerly searching for Bihar SSC Police SI ASI syllabus 2018.With the help of exam pattern and detailed Bihar Police Sub Inspector syllabus; you know how to prepare for the exam.